The Rock and Roll Explosion (1955-1957) | Russ & Gary's "The Best Years of Music"
1955: Bill Haley tells everyone to, “Rock around the Clock”. Billboard expands to 100 songs on it’s Pop Chart. White artists scramble to cover the emerging music, Mitch Miller & Frank Sinatra are baffled. Black Doo Wop groups are presented on “The Ed Sullivan Show”, the Genie is out of the bottle! The Flamingos recorded one of my all time favourite songs, “I only have eyes for you” They did have other hits and this group was inducted into the Rock and Roll Hall of Fame in 2001. The Flamingos formed in 1952 in Chicago, where they sang in a church choir. Somewhat uniquely, the congregation to which founding members Jake Carey, Zeke Carey, Paul Wilson and Johnnie Carter belonged was the black Jewish Church of God and Saints of Christ. Having mastered the minor-key melodies of Jewish hymns, they retained this influence when they began singing pop and R&B. 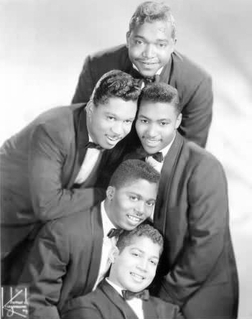 Initially known as the Swallows, then the Five Flamingos, and eventually just the Flamingos, they became a quintet with the addition of Earl Lewis. They signed to the Chicago-based Chance label in 1953. By then, they had a new lead vocalist, Sollie McElroy, who was discovered at a talent show. They recorded in a variety of styles, including mid tempo ballads (“Someday, Someway”), lowdown blues (“Blues in a Letter”), pop standards (“That’s My Desire”) and jump tunes (“Jump Children”). From Chance, they moved to Parrot, where they recorded a handful of singles – including the ballad “Dream of a Lifetime” and the uptempo “Ko Ko Mo” – and acquired yet another lead singer, Nate Nelson. In 1955, they signed with Chess Records and released records on its Checker subsidiary. Their third 45 for Checker was “I’ll Be Home,” a dramatic ballad in which a serviceman promises a loved one that he’ll return. It became their first R&B smash and would’ve no doubt been a big mainstream hit too, had Pat Boone not rushed out a pallid cover version. Deejay Alan Freed thought highly enough of the Flamingos to include them in two of his late-Fifties rock and roll flicks: Rock, Rock, Rock (in which they performed “Would I Be Crying”) and Go Johnny Go! (“Jump Children”). In 1958, the group moved to George Goldner’s End Records, and they moved from Chicago to New York City as well. Their lineup now consisted of Zeke and Jake Carey, Paul Wilson, Nate Nelson, new singer Tommy Hunt and guitarist/singer Terry Johnson. The Flamingos cut some of their most enduring sides for End, including the exquisite “Lovers Never Say Goodbye” and their satiny signature song, “I Only Have Eyes for You” (#3 R&B, #11 pop). The latter, originally a 1934 hit for Ben Selvin, is one of the most sublime and enduring vocal-group recordings of all time. While at End Records, the Flamingos released four albums, including Flamingo Serenade, a masterful album of pop standards by Cole Porter, George Gershwin and others. Though the Flamingos’ popularity tailed off in the Sixties with the rise of the British Invasion bands, they continued recording and performing down the decades. After the deaths of cousins Jake and Zeke Carey, Terry Johnson continued to lead and perform with a new line-up of the Flamingos. Flamingos charted nine singles between 1956 and 1970 and made the Top Ten with “I’ll Be Home” (#5 R&B) and “I Only Have Eyes For You” (#3 R&B, #11 pop). The Clovers began as a four-piece group of students at Washington, DC’s Armstrong High School who covered pop standards in the manner of their heroes, the Ink Spots. 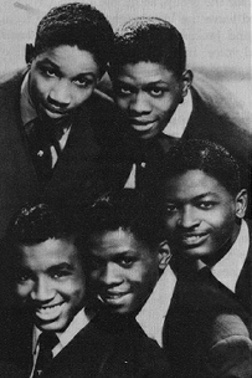 Soon, however, the group that was then known as the “Four Clovers” (in order to bring them luck) were suggested to the fledgling Atlantic Records by Washington record store owner “Waxie Maxie” Silverman, and label head Ahmet Ertegun put them to work on original R&B songs, inspired by the success of the early Dominoes — in fact, the Clovers were the first to cover one of Ahmet’s tunes. That song was “Don’t You Know I Love You,” which went straight to Number One in 1951, putting the label on the map. With a steady succession of bawdy, comic singles (the formula that would work so well later on the pop charts with Coasters, but considerably dirtier), the Clovers racked up an incredible 19 top ten hits through 1956. In 1954 they were one of the acts on DJ Alan Freed’s original “Moondog Coronation Ball,” his first big event and, some say, the true birth of the rock and roll movement. Bailey and Lucas (later Mitchell) served as the group’s twin lead tenors, with occasional leads by Charlie White. By 1956 they’d had a few pop hits, and the rock and roll trend was in full swing. But the group was too raw for the pop charts, and Atlantic still hadn’t figured out how to cross over, so the group was signed to United Artists to work with Lieber-Stoller, who provided them with “Love Potion #9.” But by 1961, the dcade-old group, not well-versed in gospel, had trouble adjusting to the sounds of soul — and though they soldiered on through the end of the decade, their glory days were over. Today the sole surviving member, Harold Winley, leads a Clovers revival group that tours the country. In 1952 the fellows formed the Five Willows and began harmonizing on the streets of Harlem. After much practicing, they signed with Allen Records in 1953. They remained there until the label went bankrupt in 1955. Later that year they signed with Morty Craft’s Melba Records. They changed the name from Five Willows to just The Willows. In early 56 Tony’s wife came up with an idea for a song about church bells ringing. The group wrote Church Bells May Ring, which Morty Craft decided to dub in chimes. Interesting enough the person who played the chines on the recording was an unknown name NEIL SEDAKA. The song was released, it was a national hit, but it was the only one for the Willows. The cover version by the Diamonds went to # 14 on the Pop Charts. Formed at Jamaica High School in Queens in 1955 for a school function, they first called themselves the Silvertones, then changed the name to Cleftones. They signed with Rama Records in 1955. In January/56 they released “You Baby You” to launch a new subsidiary called Gee. The next release several months later would establish them as a top group in the era, “Little Girl of Mine“. Fred Parris – Lead and still active today. In 1954 Fred Parris was the leader of a group called the Scarletts. He was also partial to a group called the Velvets, so you can see why Fred picked “Satin”. In ’56 on Guard Duty at 3am, Parris would write the classic “In the Still of The Night“. It was recorded in a church basement, sounds like a tunnel, released on a small Connecticut label then sold to Ember in New York, it almost got lost and would not be a hit. Believe it or not, “In the Still of the Night” was the “B” side, the “A” side was called “The Jones Girl“. Today Fred does limited appearances with new members. I love this next group and I love their music, but boy at the time, were they ever confusing! Even for a Teenager, I had no idea that Cool Shake by the Del-Vikings was the same group as Come go with me by the Del Vikings. The name was spelled three or four different ways, a law suit was involved, but all I remember was the music. In October 1956, the group consisted of Norman Wright, lead tenor, Corinthian “Kripp” Johnson, first tenor, Don Jackson, second tenor, Clarence Quick, second bass; and Dave Larchey, baritone. During a rehearsal they recorded nine a Capella songs in the basement of a local deejay and music entrepreneur, Barry Kaye. Listening to the tape they all agreed the sound was close, the style was coming around and all that was needed was a little more work. Three months later the group was in a downtown Pittsburgh’s Sheraton Hotel in a makeshift studio set up by Fee-Bee records, a small local label owned by Joe Auerbach. They were backed by a pickup band of Air Force buddies. At the session they recorded “Baby, Let Me Know,” “Come Go With Me,” “True Love,” “When I Come Home,” “Don’t Be a Fool,” and “Watching the Moon.” Their first release, “True Love” b\w “Baby, Let Me Know“came in the fall of 1956. “True Love” was a typical rhythm and blues ballad. “True Love” began receiving local airplay in early December prompting Auerbach to re-release it with a stronger B-side. During the second week of January 1957, the re-titled “How Can I Find True” was released with “Come Go With Me” on the flip side. In almost no time deejays flipped the record and discovered “Come Go With Me.” The popularity of “Come Go With Me” began to spread from Pittsburgh to Youngstown and then Cleveland. With orders he couldn’t fill Auerbach went looking for a distributor. Within three weeks a deal was made with Dot Records that allowed Auerbach to release small quantities on the Fee-Bee label locally with. the national sales for the Dell-Vikings being on the Dot label. Dot released “Come Go With Me” in the first week of February. Strong demand for the record saw it appear on the national charts within a week. In Mid-April, Alan Freed invited the group to appear at his annual Easter-week Revue at the Brooklyn Paramount. A week later a re-titled “What Made Maggie Run” was issued as the group’s second single on Dot. It attracted little airplay and few sales. Mercury records attempted to sign the group after it discovered that when the group had signed their exclusive recording contract with Fee-Bee only Kripp Johnson was over twenty one. This meant the younger members weren’t bound to either Fee-Bee or Dot. With a chance for more money they signed with Mercury in May. In October Mercury and Dot settled their legal disputes with Fee-Bee. Under the final agreement Fee-Bee retained management rights to the group through December1, 1957, after which Mercury gained all legal rights to the group’s name. Mercury didn’t wait until December renaming the group the “Del Vikings.” The result was that Mercury’s Del Vikings and Dot’s “Dell-Vikings” had singles released the same week in June. Mercury’s “Cool Shake” sold moderately well. “Whispering Bell” was their third release on Dot. Like “Come Go With Me” it was wildly exciting. Fee-Bee recorded “I’m Spinning” with Johnson backed by a studio vocal. That came out in October on Dot with Kripp Johnson and the Dell-Vikings as the artist. . Mercury sued and won exclusive rights to the name no matter how it was spelled. In July 1957, it was reported that El Dorado Records was set to release an album of nine songs that was outside the Fee-Bee/Dot agreement. The basement tapes had surfaced. It isn’t known what became of the El Dorado album, but the material was eventually overdubbed with instruments and released by Buchanan and Goodman on their Luniverse label using profits from “The Flying Saucer.” Luniverse was sued by Dot and all the records were pulled off the market. With records being issued by four labels by three groups of Dell-Vikings they had three hit singles on the chart in August, 1957. No singer before Elvis had done that and no artist would do that again until the Beatles in 1964. However, there would be no more hits. The group appeared with Alan Freed’s week long Labor Day revue at the Brooklyn Paramount. Shortly, thereafter they appeared in a cameo in the movie “The Big Beat,” which was released in February, 1958. Initially known as the El-Rays, The Dells started in 1952 in Harvey, Illinois, as five friends from high school. Eventually, the El-Rays cut their very first single, “Darling I Know”, for Chess Records. It went nowhere. 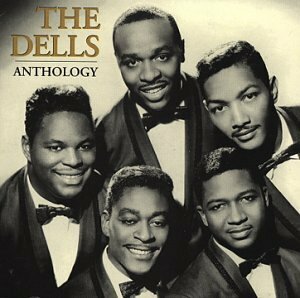 Two years later, with a new record contract with Vee Jay Records as “The Dells”, they released their 3rd recording “Oh What A Night”. It became an immediate R&B hit, finishing third behind Elvis‘ Don’t Be Cruel at number two and Fats Domino’s Blueberry Hill on top. 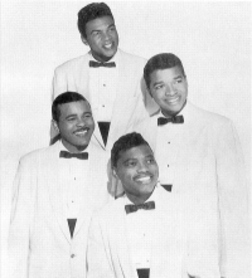 This doo-wop vocal quartet was formed in Queens, New York, USA, in 1954, originally named simply the Hearts. Three of the band members, Albert Crump (lead), Wally Roker (bass) and Vernon Sievers (baritone), met while attending Woodrow Wilson High School. They completed the line-up with Robbie Tatum from a neighbouring school. They acquired a new lead in the shape of James Sheppard (c.1936, Queens, New York, USA; d. 24 January 1970, Long Island, New York, USA) and Crump then sang first tenor. The group made their recording debut on Philadelphia’s Network Records with Sheppard’s ‘Tormented’. Receiving scant promotion, it brought the group little exposure and fewer sales. More productive would be a liaison with Hull Records. This began in September 1955 with ‘Crazy For You’, a strong regional seller, and continued with ‘Darling How Long’ in February of the following year. One of the most fondly remembered records of the whole doo-wop era, ‘Your Way’, like all their previous releases was written by Sheppard. Though it did not chart at the time, it has subsequently become one of the most popular songs of the period. Their star rising, the Heartbeats’ next recording was ‘Oh Baby Don’t’, but it sold mainly on the strength of Sheppard’s plangent b-side composition, ‘A Thousand Miles Away’. This quickly became a nationwide hit, peaking at number 53 in the Billboard charts. The Heartbeats sought to confirm their popularity with nationwide tours in the company of Ray Charles, B.B. King and others. 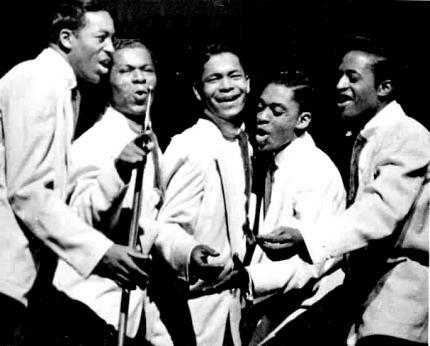 After a publishing dispute with Hull Records, the Heartbeats’ next single emerged on Rama Records in 1957. ‘I Won’t Be The Fool Anymore’ was followed by ‘Everybody’s Somebody’s Fool’, which returned them to the lower reaches of the charts. Spells at Gee and Roulette Records (two singles each) preceded the band’s break-up in 1958, at which time the members divided into two factions. The rest of the band were allegedly none too impressed when Sheppard fell asleep at the microphone one night in Philadelphia, and other bouts of unshackled egotism exacerbated the situation. The momentum was lost, and all but Sheppard returned to regular employment. Their erstwhile lead put together Shep And The Limelites, who released a number of singles, though only one, ‘Daddy’s Home’, enjoyed major success (US number 2 in 1961). Sheppard was found dead in January 1970 after being shot and robbed. The four surviving members of the Heartbeats reunited in December 2003 to celebrate their 50th anniversary. If you listen to Daddy’s Home, it is A Thousand Miles Away, just redone. 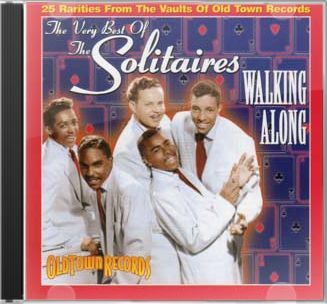 From Harlem, New York, USA, the Solitaires, like no other vocal group of the 50s, sang lushly harmonized Doo-Wop with a dreamy romantic feeling, and ranked as one of the great groups of the 50s. 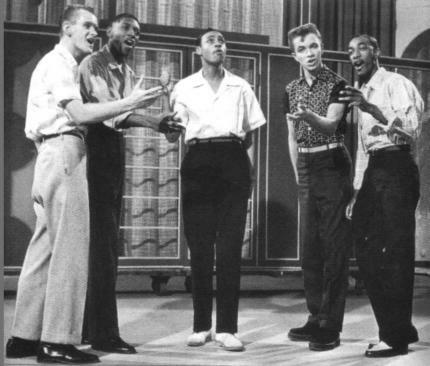 Formed in 1953, the group originally comprised veterans of the Doo-Wop scene and consisted of lead Herman Curtis (ex-Vocaleers), tenor Buzzy Willis and bass Pat Gaston (both ex-Crows), tenor/guitarist Monte Owens and baritone Bobby Baylor (both of whom had recorded with the Mellomoods), and pianist Bobby Williams. They signed with Hy Weiss’ Old Town label in 1954, and with Curtis’ haunting falsetto on ‘Wonder Why’, ‘Blue Valentine’, ‘Please Remember My Heart’ and ‘I Don’t Stand A Ghost Of A Chance’, the group quickly established themselves locally, if not nationally. Their deep, yet crisp and clean, R&B sound set a standard for other groups. Curtis left in 1955 and, with the wonderfully flavourful tenor of new recruit Milton Love, the group entered their most commercially successful period. With such great records as ‘The Wedding’ (1955), ‘The Angels Sang’ (1956), ‘You’ve Sin’ (1956) and ‘Walking Along’ (1957), the latter covered by the Diamonds, they became a rock ‘n’ roll phenomenon. 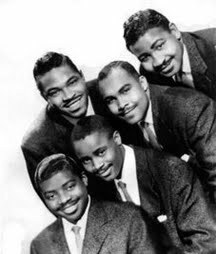 By the time the Solitaires left Old Town in 1960, however, they had metamorphosed into a Coasters -sounding group, and by the time of their last recording in 1964 personnel changes had left little that was recognizable from the classic group. In the following decades, various ensembles of the Solitaires would appear on revival shows. The reason for doing both groups – in my opinion, the cover was as good or better than the original and if not for Elvis would have reached # 1, it made it to # 2. This is one of the first times I have liked the cover as well as the original. Now Maurice Williams would go on to form “The Zodiacs” and record one of my favourites and a R&B and Pop classic “Stay“. Maurice Williams (born 26 April 1938, Lancaster, South Carolina) had his first experience with music in the church, where his mother and sister both performed. By the time he was six, Williams was performing regularly there. 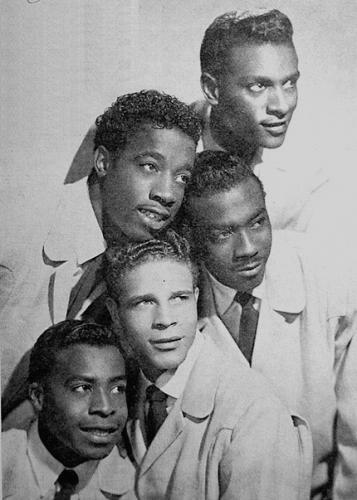 With his childhood friend, Earl Gainey, Williams formed the gospel group ‘The Junior Harmonizers’, but as rock and roll doo-wop became their primary interest, the Junior Harmonizers changed their name to ‘The Royal Charms’. In addition to Williams and Gainey, The Royal Charms were made up of Willie Jones (baritone), William Massey (tenor, baritone, trumpet), and Norman Wade (bass). In the winter of 1956, while still in high school, Williams and his band traveled to Nashville, Tennessee to record for the Excello record label. At the time they were going by the name ‘The Royal Charms,’ but the founder of Excello Records, Ernie Young, convinced them to change their name to ‘The Gladiolas’. At the time, there was at least two other bands using the same name. 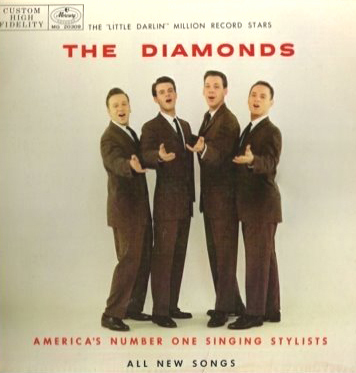 The song Little Darlin‘ was a #11 hit on the R&B chart in 1957, but did not break the Billboard Hot 100’s Top 40 However, when the song was covered by the Canadian group, The Diamonds, it moved up to #2. Williams finished high school and while on the road with the band (after their station wagon broke down in Bluefield, West Virginia), the band came across a small car known as “The Zodiac” and the band changed their name. Shortly thereafter, Henry Gatson replaced Earl Gainey. In the spring of 1959, Maurice Williams and the Zodiacs performed at the University of South Carolina in Columbia, South Carolina. Around that time, the group split and reformed. The members were Williams, Gatson, Wiley Bennett, and Charles Thomas. Later, Little Willie Morrow and Albert Hill were added. One month later, in the early summer of 1959, the band recorded in a Quonset Hut on Shakespeare Road in Columbia. The recording engineer, Homer Fesperman, recorded several tracks that the band had hoped would fetch them a hit. One of the last tracks that they recorded that day was “Stay,” a song that Williams had written a couple of weeks before. After taking the demo of “Stay” to Al Silver at Herald Records in New York City, the song was pressed and released in early 1960. “Stay” is the shortest recording ever to reach number one on the Billboard Hot 100 chart in the United States (1:39, though the label read 1:50). Later versions of “Stay” by The Four Seasons (1964) and Jackson Browne (1978) also reached the Top 20, each selling over one million copies in the United States alone. The inclusion of “Stay” on the soundtrack to the film Dirty Dancing, in 1987 led to the song selling more records than it had during its original release. I choose this group because they are just about as confusing as the Del Vikings. One of the earliest groups to form on the West Coast. The group was built around Bobby (Day) Byrd, yes the Rockin’ Robin’ Little Bitty Pretty One guy. Just the highlights: Things got confused in 57. For Class Records the group was billed as Bobby Day & the Satellites while other recordings appeared simultaneously on the Ebb label as the Hollywood Flames. So lets get it correct; Rockin’ Robin by Bobby Day & the Satellites, also Little Bitty Pretty One and Buzz Buzz Buzz, by the Hollywood Flames, all the same people. Lots of talent in the group; Curtis Williams co-authored Earth Angel. Earl Nelson would become part of Bob & Earl and record “Harlem Shuffle“, and later take on the name “Jackie Lee”. The Name Game… It’s was like the old Abbott and Costello routine “Who’s on First”. As the Rock and Roll explosion calms down, a song recorded in a Church basement, “In the Still of the Night” will just make top 30, but it will be released four years later and it will ultimately become one of the most requested songs of the era. Now larger labels pick up the small labels releases intact, cover versions are gone. Pingback: Bobby Day – One Hit Wonder? | Russ & Gary's "The Best Years of Music"
What a wonderful compilation! I look forward to every post that you send and regularly forward them to friends of mine. Have a fun MEMORIAL DAY and also your many friends. I sent you a reply regarding the Great SAX players I hope you received it recently. My area has a AMERICAN LEGION that bring in a lot of these OLDIES GROUP in August 2018 THE HEARTBEAIS will appear with one original singer still singing. My visit in the 1960;s to HULL RECORDS was my claim to fame. The hits they produced are still played my me and my sons at all of our gigs.